Street parking. Jeffrey's complimentary valet is available after 4:30pm. The sister restaurant to Austin fine dining institution Jeffrey’s, offering breakfast, lunch, brunch, happy hour, dinner & Monday night steak frites. The Clarksville cottage features a small marble bar for coffee or cocktails, intimate tables in the dining room, shady nooks on our patio and a grassy front lawn for lounging. Serving an eclectic daily menu featuring the best locally sourced products. The absolute BEST! 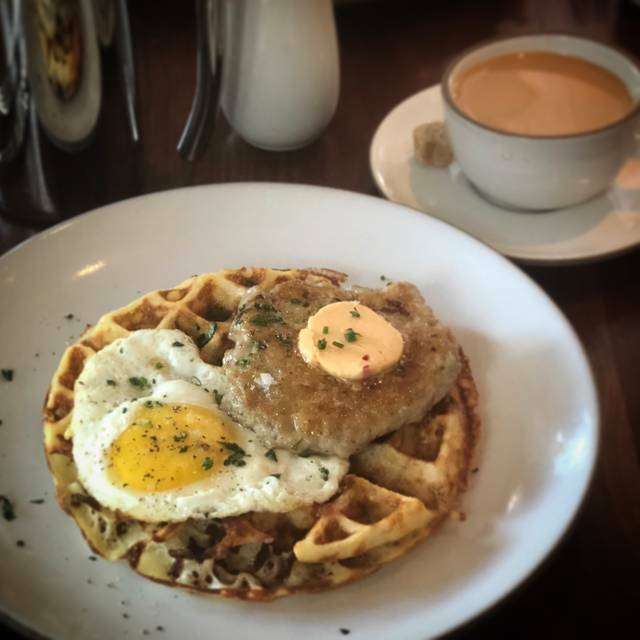 Food was awesome, service perfect and great atmosphere to have brunch! Great place, we really enjoyed the Monday night only steak frites 3 course special and that the meats were grilled on the patio grill. It’s a romantic, stylish intimate local haunt with a DJ spinning 45’s. Always a wonderful experience! I have already recommended it to friends. Great place for special memories! Our server, Marissa, was incredibly rude. Our water glasses were constantly empty, we had to ask for a wine list & additional drinks more than several times before we received them. We wouldn't see her for long periods of time and when she did engage us she seemed annoyed. The food was fantastic, but great service is so important for me and i was very displeased with the experience. It was ok. Parking was awful during lunch. Maybe dinner would be better, but lunch was not very interesting. I would go back for drinks and apps probably. I would imagine the service/serve-time would be better during dinner, but our service was pretty bad and a charcuterie board and broccoli dish took about an hour. I will probably give it one more shot, but it wouldn’t be for a special occasion. Food and atmosphere were great but the service was extremely poor. We were totally ignored unless we called out to our server. I expected better service. Hosted out of town friends and they loved it! 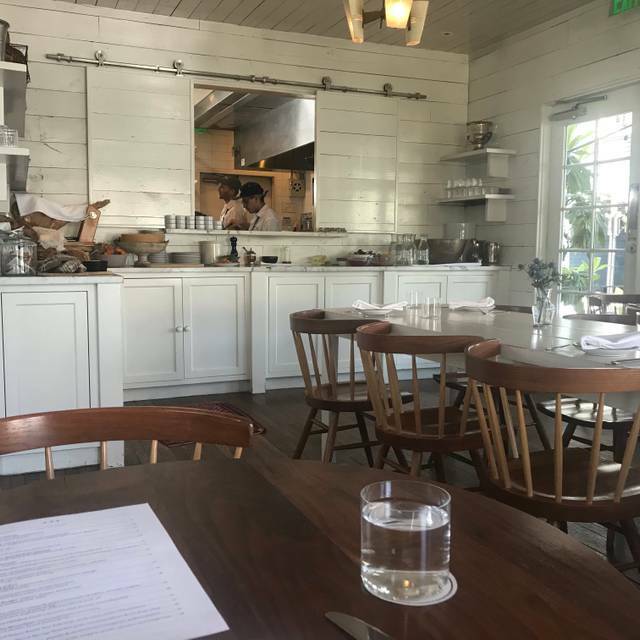 Such a darling little gem of a restaurant. The food was amazing and the service was even better. We arrived a bit early and the host went out of his way to find a little spot outside for us to enjoy a drink before we moved into the house for our dinner. Can't wait to return and when I do I am bringing the whole family so that we can eat at the big picnic table out front and enjoy a beautiful Austin evening. Awesome dining experience!!! The food was incredible and the atmosphere was spot on. Such a hidden gem. Will go back!! I love Josephine’s house in many ways but sometimes I find their service not that great. For the quality of food and high end restaurants from the McGuire Moorman hospitality, service should be outstanding and more Austenite than Dallas type of service. A special spot for a date, get together or when you just want to feel like your in a uniquely Austin spot. Hands down my favorite place for lunch and brunch in Austin. Food was great. My only issue is how loud everyone can be inside the restaurant. Typically, when I go to Josephine's for dinner it's nice and calm. My last visit, noise was out of control. I could hear the whole conversation from the table next to us. I could hear people yelling and laughing way too loud from across the room. It was really difficult for me to have a conversation with my significant other who was right in front of me. Other than that, no issues. Steak night was great. Ribeye was delicious. 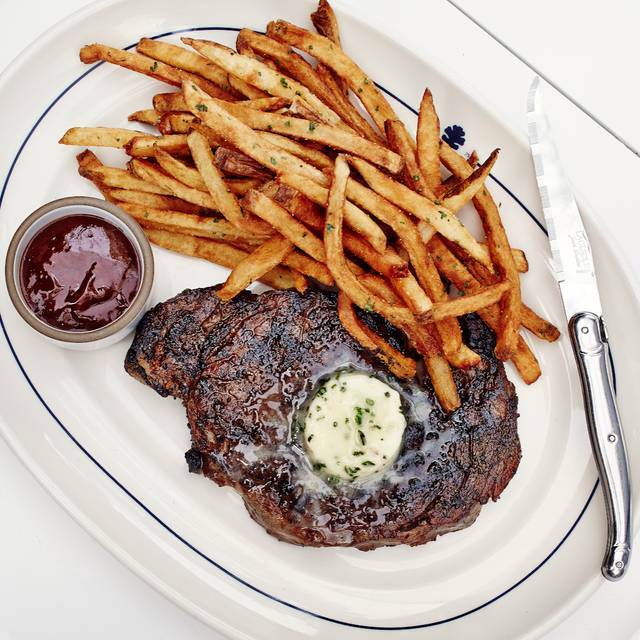 Monday night at Josephine House for Steak Frites is the best kept secret in Austin. I hate to spill it here -- but it is truly amazing! Three course meal, wine to accompany the courses, great steak cooked on an outdoor grill right in front of you (if you are on the patio). Great service and ambience. Wonderful way to spend a Monday evening. A bit too loud, hard sometimes to hear others (only 3 of us, inside, at a small table), but otherwise quite wonderful. Wonderful ambiance! Every part of the meal was an absolute pleasurable experience. The butternut squash soup was so rich and flavorful in every spoonful. Try the wine selection or a cocktail. Steak is well worth every bit. Splendid calming atmosphere for a date night. We will definitely be back! Delightful spot for a friend's birthday! We were sat outside and enjoyed every bit our our meal! Highly recommend the pork and meat/cheese board! Parking isn’t easy, but everything else was great. 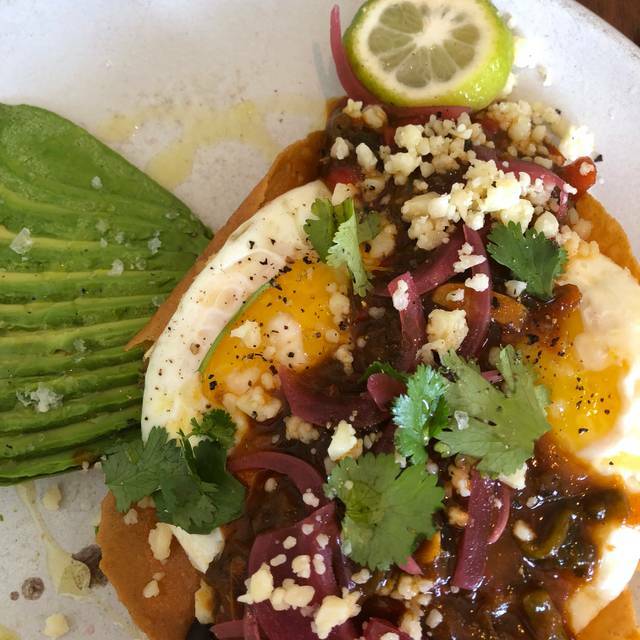 Variety of savory and sweet dishes for a brunch crowd with divergent palates. 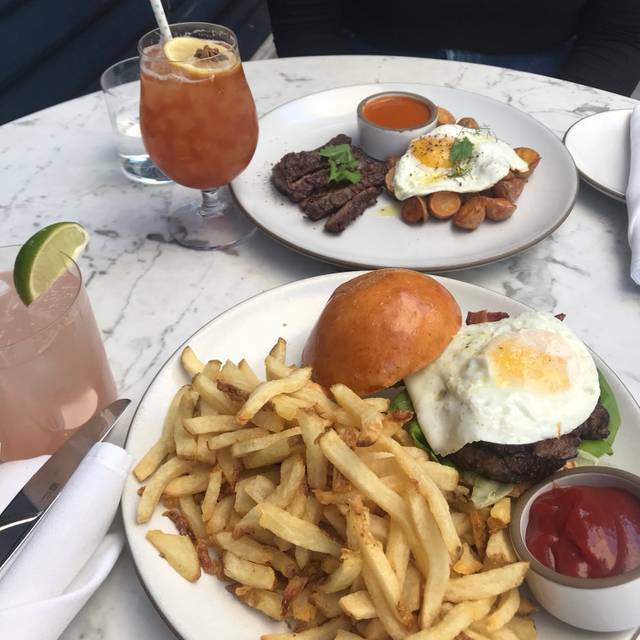 Nutella sticky bun, burrata with persimmons, burgers, corned beef hash, lemon ricotta pancakes, boozie drinks and interesting non-alcoholic options. Small interior dining area and tables are crowded together, so pretty noisy. But the service was great and the food terrific. They seem to have quite a bit of outdoor seating, so when the weather gets warmer, I would definitely try the outside area. Before going home to California, my party and I spent our last day and last meal in Austin, TX at Josephine House. Everything was splendid. We all enjoyed sharing soup, salad and burgers. I began my meal with a delicious scone with the El Diablo coffee. At first I was intrigued by it being $5 so I thought I was going to have to really sip small and savor my $6 cup of coffee. It was a cup of coffee with an additional carafe of coffee that gave me a total of three cups of coffee. This turned out to be PERFECT because I never just have one cup of coffee. It was delicious in body and flavor and I couldn’t have been happier. My boyfriend and I shared the big chopped salad and it was extremely flavorful. I loved the tender pieces of chicken, the nice citrus flavor of the dressing, pair with white almonds and avocado, the fresh sea salt on the cheese shavings. HANDS DOWN - DELICIOUS!! The burger was cooked perfect, had a nice saltiness that you hope for in a burger and the homemade bun is fluffy. I’m so happy my last taste of Austin’s food offerings was spent at Josephine House. Great atmosphere, excellent food, not too loud. Will be back. The restaurant is very cute and has great ambiance, but the menu is very limited and overpriced. The service was not great as well, the waitress was not very friendly or helpful. I say no for recommending when it comes to reservations and not getting your table after making one. I was very disappointed in what took place this last Saturday and how your Manager Angela (she told me she was the Manager when I asked for a Manager), we come there every couple weeks. We made a reservation on open table like we always do and requested outside because we have a small Dog. One of the girls called to confirm with me on Friday and I confirmed our table with her outside for 2 at 12:15. I went to get our table and Angela was very short and rude and said it would be an hour in a half wait because my reservation was not confirmed, it was confirmed I told her, Angela said it was not checked off as confirmed so it’s an hour in a half wait. Like I said she was short and rude and it was the mistake of the restaurant not me and she said I cannot give another table away that has a reservation, how would you like it if we did that to you? I said the restaurant made the mistake not me why woukd you be asking me that question. She did not say sorry for the mess up or that she would accommodate us but thanks for your patience in a short response. We have always made a reservation and also confirmed a few days before when they call and have never had a problem. Angela’s attitude and the way it was handled was just not right. I am too busy to be writing this response but it was very disappointing what took place. We had an open table reservation outside and they called to reconfirm it and that’s the way we got treated. This restaurant is one of our favorites but that has changed, we live downtown Austin and make it over every few weeks, just not right!! I come here each year to treat myself while in Austin on business. Each time, the food is incredible and fresh and everyone working here is lovely and attentive. This is my favorite restaurant in the country and I’ve been to many. 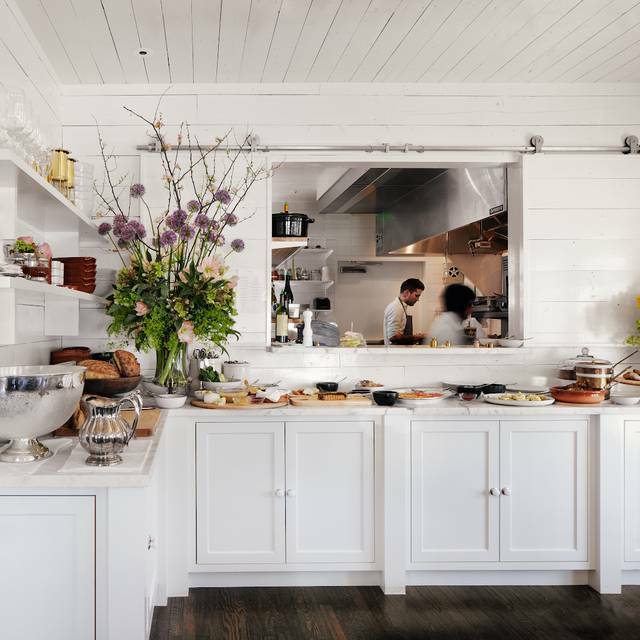 Something about the combination of the food and atmosphere feel like home—so peaceful, nourishing, and just wonderful. Outstanding place for Sunday brunch. The decor and ambiance create a sense that you are eating in a country farmhouse. Excellent food and service add to a very memorable outing. The exceptional food was perfect for sharing 3 courses of the burrata, the big chop salad and the branzino. We visited during happy hour and were delighted that the food was half price. We were able to pair the food with great wines by the glass for $2 off. Assorted bakery items satisfied our sweet tooth for dessert. The place was lively but the noise level was just right and we could easily carry on a conversation. You can't beat the ambience. It took a while to get our bottle of wine, but other than that, the service was good. Food is excellent. Highly recommend the patio for date night! I just wrote a review for trip advisor two days ago for Josepjone house. I would highly recommend. Love the ambience the personable service and the food is incredible. 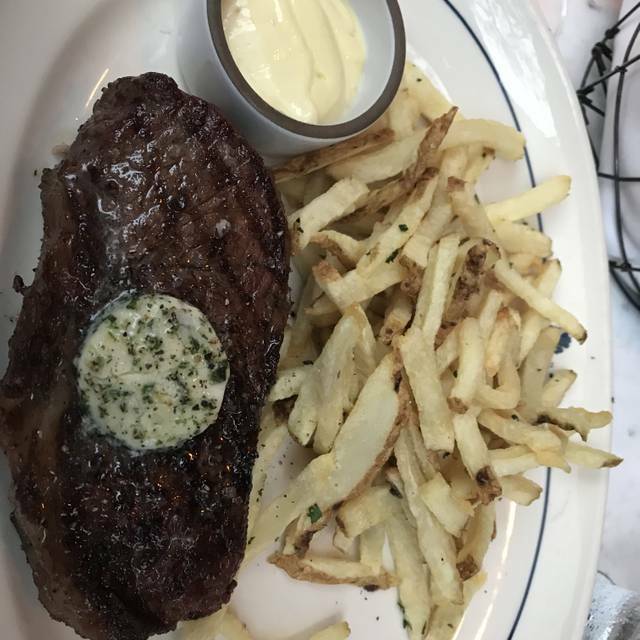 Loved it had an early Valentine dinner, it was Steak Frite menu. We had the new work strip. Food was large portions and delicious. From the salads to the well seasoned perfectly cooked tender meat, to the delicious amazing innovative dessert. Thank you, very nicely done. Food was good, a little bit pricey for the quality. The seating was a little bit snug and uncomfortable. Kept getting bumped into. The service was good. The restaurant is cute and quaint. Overall, it was a good experience. If we do come again, would like to have seating outdoors once the weather is nicer. We ordered the seafood and pork chop, very good. Service was excellent. Good honest cocktails. This was my second visit to Josephine in 2 weeks! I dined here with clients while in Austin and loved it so much that I suggested it for a dinner with a different set of clients. They are Austinites and said that they, too love Josephine, so it was perfect. It was a warm evening for February so we joined other guests and dined al fresco. As with my first visit, the service was impeccable as was the food. I had the Big Chopped Salad (again! ) and loved it. One of my guests had the pork chop and raved, and two guests had the rice bowl and also raved. The wine list is not extensive but still offers good variety. I find Josephine to be intimate, charming and delightful and will return during my next visit to Austin. I ordered the seafood stew made with potatoes and it was absolutely amazing! Their bread is outstanding! Their pour on wine is soooo skimpy, especially for their price. The service was flawless and the ambience was cozy, warm and comfortable.